PRIME Australia colleagues are leading and delivering programmes in China, India, Malaysia, the Philippines, Papua New Guinea and Tanzania, and opportunities are being explored in Fiji and Indonesia. PRIME Australia tutors have also been involved in external programmes in Vietnam and Burma. PRIME Australia Annual Conference holds an Annual Conference which and in previous years delegates have included colleagues from China, Indonesia and South East Asia. China: A team from Australia participated in a regional general practitioner annual conference and have been successful in gaining a grant for the development of a programme linking Chinese and Australian primary care physicians. Chinese colleagues were enabled as part of a government funded project to attend the PRIME Australia Annual Conference. India: Our Australian colleagues continue to coordinate PRIME's input to a long-term, well established project assisting the Department of Distance Education of an Indian Medical College with their Post-Graduate Diploma in Family Medicine. The programme started in January 2010 and was funded by the Indian government National Rural Health Mission to train government doctors in eight of the poorer states. It has since expanded and previous students are now involved in the teaching teams. A team from PRIME Australia led a special teaching the teachers conference, which was very well received and we hope will be the start of PRIME activities in the wider region. Delegates included individuals from the Philippines, Malaysia and Brunei. 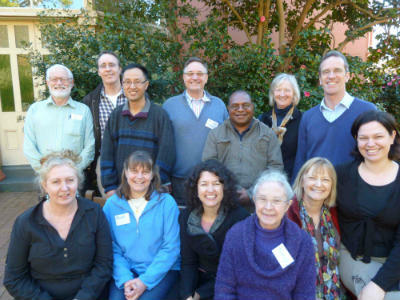 Indonesia: A PRIME Australia tutor gave a presentation on ‘emerging global health issues’ at an international conference on ‘Christian Responses to Global Health Issues’ and was able to make a variety of new contacts in that region in particular. Medical teachers from Indonesia attended PRIME training in Australia. We hope opportunities for teaching in Indonesia may be forthcoming in the future. Papua New Guinea: PRIME Australia continues to support various programmes in PNG. The ‘Papua New Guinea Health Care Manual’ is now in its third edition with implementation planned in conjunction with the Baptist Union of Papua New Guinea. Find out more about the PRIME Australia projects operated in partnership with Healthserve Australia. Philippines: PRIME International tutors attended and contributed to the NCFI (Nurses Christian Fellowship International) World Congress running a PRIME pre conference stream, attended by many of the senior NCFI personnel, a teaching the teachers course and a plenary session in the main programme. The Congress attracted nurses from around the world and resulted in several new avenues being explored.